In January 1976, the ancient astronaut author Erich von Däniken sent an unsolicited autographed copy of his book In Search of Ancient Gods: My Pictorial Evidence for the Impossible (1974) to then-president Gerald Ford at the White House. In a letter to accompany the volume, von Däniken, in a typical display of hubris, emphasizes his sales figures as the reason for taking his message seriously. He describes his disgust with left-wing politics, praises the Republican president's views, and urges him to consider the importance of pandering to UFO believers as a significant voting bloc for the 1976 election. He also urges Ford to break the international agreement demilitarizing outer space before the Soviets do, and he suggests that manned flight will help humans find alien life or artifacts on Mars. The letter is surprisingly political, and interestingly von Däniken makes no mention of his own theories and supposedly rock-solid proof of prehistoric alien contact as a reason for supporting exploration of other planets, perhaps a tacit indication than von Däniken's interest in ancient astronauts was always more political and economic than heartfelt. The letter was not read by President Ford. The letter was shunted to an obscure and then-new office of the State Department, the Bureau of Oceans and International Environmental and Scientific Affairs (OES), whose Office of Space and Advanced Technology monitors issues related to space security. The OES replied three months later with a noncommittal letter that carefully avoided acknowledging any of von Däniken's political statements. The acting assistant secretary did not bother even to sign the letter. A copy was sent to National Security Advisor Brent Scowcroft as part of a routine archiving of State Department communications. This represents the entirety of the US government's recorded interest in Erich von Däniken, his works, or his theories. 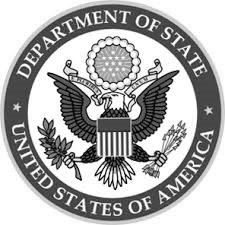 I have obtained the following never-before-published US State Department documents from the National Archives in College Park, MD, and present them for the first time anywhere here on JasonColavito.com. The following transcripts are presented with the original spelling and punctuation. I have not edited any of these documents. I am the author of several international bestsellers, which also in your country have sold some 10 million copies sofar (CHARIOTS OF THE GODS / GODS FROM OUTER SPACE / THE GOLD OF THE GODS / IN SEARCH OF ANCIENT GODS / and as latest title which will be published in the United States this coming March ‘MIRACLES OF THE GODS’). The total number of copies sold worldwide has reached 34 millions in 10 countries. It is part of my work to travel extensively and people who travel hear and see a lot. Regrettable but true Western Europe seems to be penetrated nowadays by leftist blockheads. The press of the countries surrounding my neutral native country Switzerland is dominated by socialist dreamers. The big masses do not realize the ins and outs of our today’s situation and are blindly falling to the big deception. I have asked myself again and again: what is there that we can set over against the cummunist/socialist ideology? How can we inspire a young generation and at the same time demonstrate to them sense for solidarity and creditable performance leading to success? And this national with an international effect? I firmly believe that restimulation of manned space travel could make this possible. I am sure that you are well acquainted with the statements made on this subject by so many renowned supporters of manned space travel and there is certainly no need for me to quote them here. You must also be aware of the many side effects which a resumtion of manned space travel would mean for the economy and thereby for the workers and taxpayers. You also know very well the national feeling of unity which can be activated by manned space travel. Do you realize the innumerable supporters and believers of ‘flying saucers’. They must, alone in your country, count to a million if not more and no doubt represent an interesting potential of votes which just cannot be neglected in an election year. Your present space program, drastically reduced by your predecessor for financial reasons, is - permit me to say - introvert. We are just looking back at our very own navel. But even this introverted space program has brought financial results directly or indirectly which cannot be refuted by your congress. But what has all this to do with communist/socialist ideologies and dreams? A society which is conversant with interstellar space travel just cannot be communist. Communism, the society without any classes, means stagnation. Man is a creature of habit. Sensations are no longer sensations if they occur over and over again. In human history we always have needed new challenge as stimulus for achievments and results which we could proudly present. A visit of man to Mars would be this next victory, another spectacular turning point in our history. The communists would have to follow - but for technological and social reasons they are just not in a position to do so. With the knowledge at your disposal there is no need for me to draw your special attention to the strategic value of an expanding manned space travel program. But I am worried and concerned that the United States one day will have to face another Sputnik shock. Because of some bewildered scientific and ideologic advisers they are neglecting manned space travel. But this shock can never again be made up for. A hostile, ideologic power will establish itself rapidly on one of our nearby planets and soon be in a position to prevent any foreign object from approaching. I know of the international agreements for peaceful use of space, but the other side will not respect them. They will just present facts - a ‘fait accompli’. Last but not least fascination of manned space travel with the constant possibility to meet other extraterrestrial intelligencies or traces of them is a thrilling event which can keep generations at close attention. And as we have so innumerable planets and stars around us and as by manned space travel our possibilities to explore them - also on distance by means of optical and electronic telescopes - are increased enormously, there will never be an end to the flow of information and knowledge. I wish to assure you, dear Mr. President, of my highest esteem. I should of course anytime be gladly at your disposal with detailed information on particular aspects in connection with the questions and problems raised in this letter. n.b. under separate cover I have sent to you a copy of my book 'IN SEARCH OF ANCIENT GODS'. ____ A draft reply is attached. ____ A draft reply will be forwarded. ____ A translation is attached. __x_ An information copy of a direct reply is attached. ____ We believe no response is necessary for the reason cited below. On behalf of the President, I would like to thank you for sending an inscribed copy of your book, In Search of Ancient Gods, and to respond to your suggestion of higher priorities on future manned space travel. We in the United States Government agree on the importance of manned space flight and the need to continue on our course into outer space. Our manned space program will continue, and will escalate rapidly on a flight frequency basis, with the first flight of the Shuttle in 1979. Thank you for your expression of support for the United States space program. Click the arrows to view the scanned pages of the original documents.